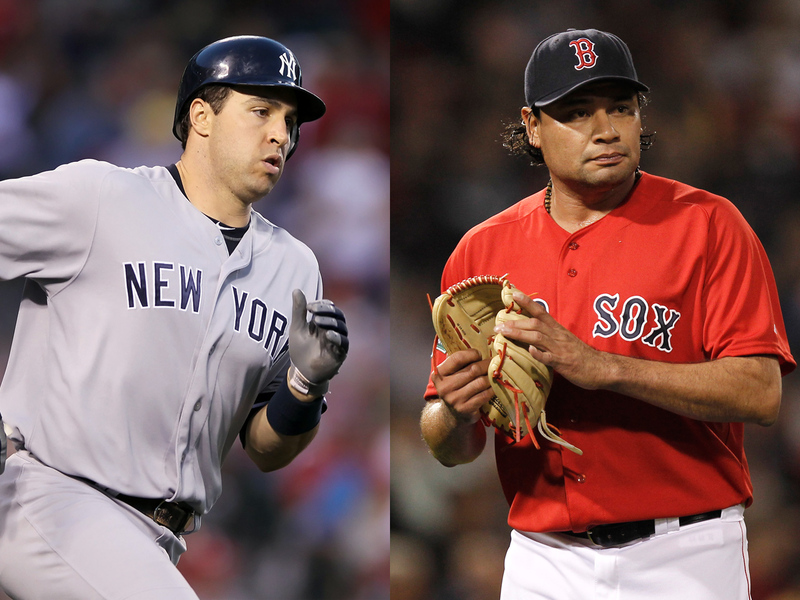 Red Sox pitcher Vicente Padilla: Yankees star Mark Teixeira should play "women's sport"
(CBS News) Former teammates Mark Teixeira and Vicente Padilla don't like each other. That's been evident at least since 2009, when Teixeira homered in his first two career at-bats against Padilla. Since then? He has been plunked three times by the pitcher. So it came as no surprise when the Yankees first baseman gloated after he tripled off his nemesis, who now pitches for the Red Sox, on Friday night. "He doesn't have too many friends in the game," said Teixeira, who accused Padilla of not only throwing at players' heads but also laughing one time when teammate Michael Young got drilled. "Guy throws at people. Fact of the matter, I'm not saying anything that's news." The comments were relayed to Padilla, who managed to suggest Teixeira of being prejudiced toward Latino players and in the same breath make a sexist comment. "The problem is he [Teixeira] talks about all the wrong things that others have done, but the things he's done -- against the Latinos [on the Rangers] -- he doesn't open his mouth about. He once threatened me and said he was going to hit me with a bat, and that's when we were playing on the same team," Padilla told NESN.com in a Spanish language interview. "In this sport, as competitive ball players, we get pretty fired up. So I think, maybe, [Teixeira] picked the wrong profession. I think he'd be better off playing a women's sport." Padilla, a native of Nicaragua, later told ESPN Deportes that Teixeira had "a bit of a problem with Hispanic players." Teixeira scoffed at the comments before the Yankees-Red Sox series finale Sunday night, according to ESPN. "That's just comedy," Teixeira said. "It's funny. It really is." We will see who is laughing when the comedy continues July 27. That's when Padilla and the Red Sox return to Yankee Stadium.